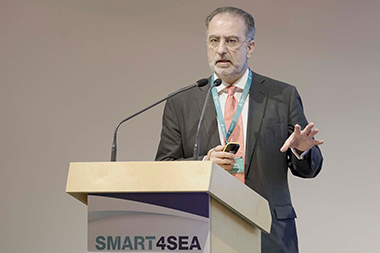 Propulsion Analytics was once again among the sponsors of the 2019 SMART4SEA Conference, held on January the 30th at Stavros Niarchos Foundation Cultural Center, where together with our partner Winterthur Gas & Diesel Ltd., we jointly presented the latest developments in advanced, real-time engine performance analysis and diagnostics. 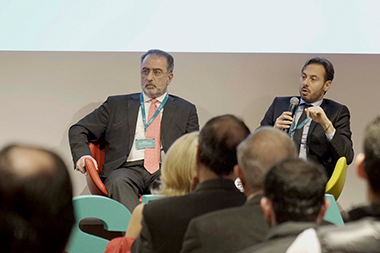 Mr. Carmelo Cartalemi, General Manager Business Development, WinGD and Mr. Panos Theodossopoulos, jointly presented an advanced real-time Engine Diagnostic System (EDS) available in all WinGD 2-stroke, diesel and dual-fuel engines. The two companies collaborated to develop the EDS system that acquires and analyses data on the performance and condition of engines/subcomponents in real time and provides fault diagnosis and live troubleshooting advice to the crew. The data are analyzed using thermophysical simulation models, machine learning techniques and expert/knowledge-based algorithms and are further used to diagnose and troubleshoot abnormalities allowing to integrate maintenance planning and spare parts inventory. 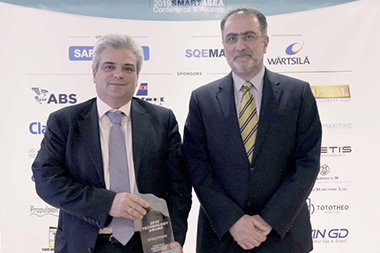 Additionaly, Panos Theodossopoulos had the honor to present StealthGas as the winner of the 2019 SMART4SEA Technology Award handing the award to Mr. Lambros Babilis, CEO StealthGas Inc.